Williston’s population continues to grow. And the latest projection says the city could double in size by 2025. Williston Mayor Ward Koeser says so far, the city has been coping with that challenge. "The Cesus Bureau said we are the fastest growing micropoltan center," said Koeser. "If you realize how many communities there are in the country between 10,000 and 50,000, to be the fastest growing, then you realize you're getting things coming at you at a pretty rapid pace." Koeser says Williston's past experienced helped. And he attributes Williston's success in coping to three things. "First, we do a lot of planning," said Koeser. "Secondly, we try to make sure we have the right people in place. And the third -- we focus on partnerships. We partner with everybody -- developers, the state, Lutheran Social Services, oil companies, whatever." Koeser says this means the city is doing okay. 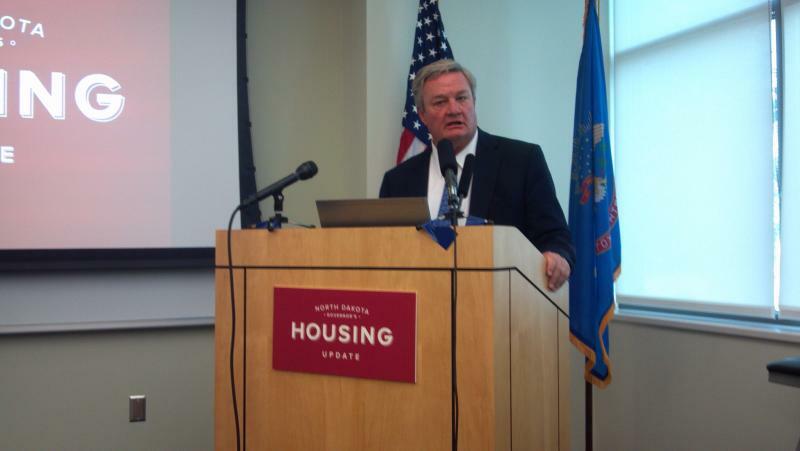 A new housing survey for North Dakota has been completed – and it shows continued population growth. The survey was done for the state Housing Finance agency. "They're projecting the population is going to increase 25 percent out to 2025," said agency director Mike Anderson. "That's about 170,000 new residents. These are permanent residents."